A review and summary of: Larry K. Brendtro, Arlin Ness, and Martin Mitchell, No Disposable Kids. Longmont, CO: Sopris West, 2001. 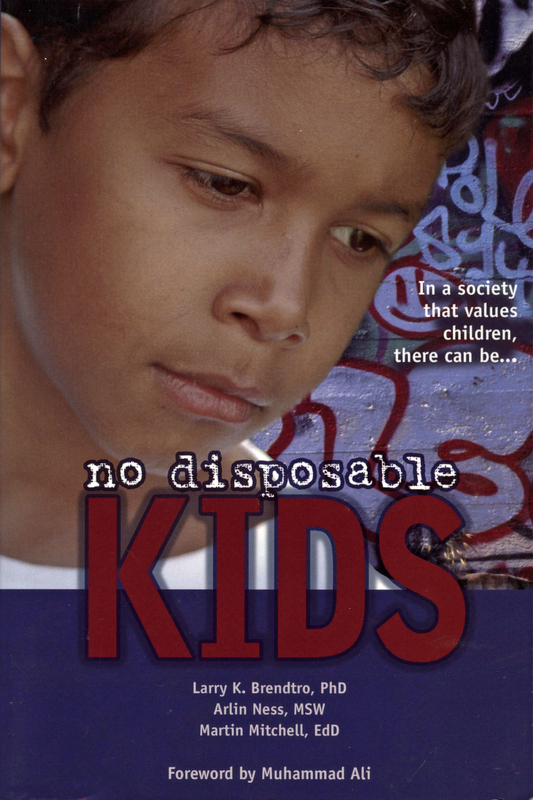 Inspired by a famous statue of Janusz Korczak at the Children’s Memorial at Yad Vashem, the title “No Disposable Kids” came to the authors. 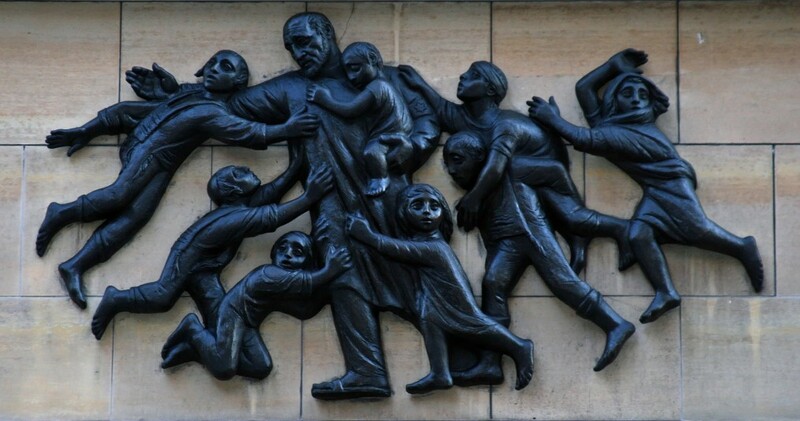 Dr. Korczak founded an orphanage in Warsaw, Poland, for troubled Jewish street youth. Even in the Warsaw Ghetto, Janusz Korczak refused to abandoned “his” children, choosing to accompany them in the protest of quiet dignity to the gas chambers of Treblinka. Of course, Yad Vashem itself is a memorial of one of the darkest moments in history, the Holocaust, of which one-quarter of its civilian victims were children. Negative or morbid thoughts from clinical or situational depression. Opportunity, which is where the Circle of Courage comes in, consisting of four core principles for nurturing troubled children in a climate of respect of dignity: belonging, mastery, independence, and generosity. The aim is to build on children’s strengths; the fourth and final chapter discusses specific ways within the context of the Circle of Courage, introduced here and in an earlier work, Reclaiming Youth at Risk. With empathy, understanding, and a positive philosophy of dignity and respect, there will not be any allowance for “disposable” children. 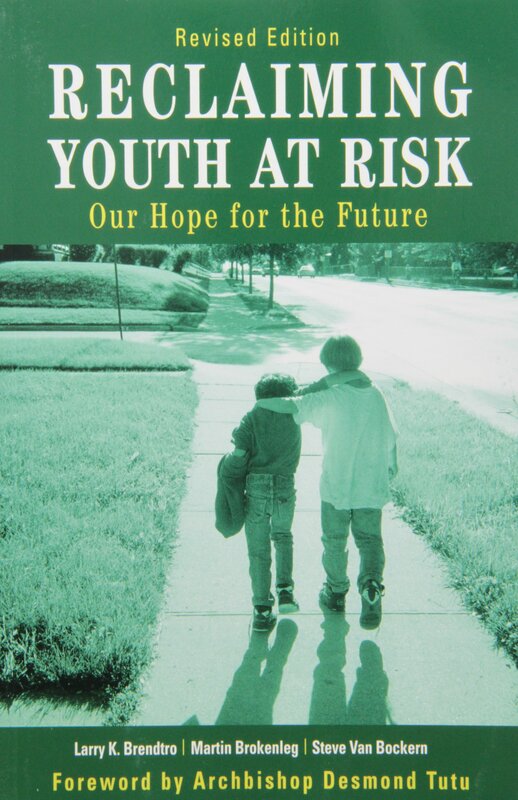 A review and summary of: Larry K. Brendtro, Martin Brokenleg, and Steve van Bockern, Reclaiming Youth At Risk: Our Hope for the Future. In the early years of the 20th century, Swedish sociologist Ellen Key proclaimed the world was about to embark on the “Century of the Child.” As time wore on, however, many scholars saw that the 1900s was anything but the century of the child. Although child labor was becoming a thing of the past in the Western world, children were still subject to economic, physical, sexual, and emotional exploitation. Troubled, “alienated” and “at risk” children have always been present, but there were few constructive ideas forthcoming in this new supposed age of enlightenment. Many troubled teens and youths were being written off. Having youth be caregivers, rather than being dependent on the care of adults. Dr. Wolins edited the works of another pioneer in child welfare, Janusz Korczak; Dr. Korczak is quoted extensively for his ground-breaking philosophy on the importance and responsibility of adults to see the world of the child from the child’s perspective. Loss of purpose, where youth—too often portrayed by society as self-centered—feel overwhelmed or lost in a turbulent sea of confusing (and conflicting) values. All too often, society puts the blame on these children, giving the “problems” a negative label, each of which elicits negative responses. The spirit of belonging. Everyone needs to belong to a community and have the chance to cultivate the skills necessary to live with others in harmony. These real communities are important to keep at-risk youth from joining “artificial” communities such as gangs in their quest for belonging. The spirit of mastery. Everyone needs to cultivate the wisdom and self-control to feel in control of their environment; to feel competent, all at-risk youth must be encouraged in their competency. The spirit of independence. Everyone needs a sense of autonomy and control over their destiny, with the accountability that comes with it. However, if a child is to be taught responsibility, he or she must be treated with maturity and dignity. Moreover, such an education does not preclude nurturing. The spirit of generosity. Everyone should know the value of sharing and empathy and be part of a community that embraces these values. We fail to see the child, just as one time we were able to see the woman, the peasant, the oppressed social strata and oppressed peoples. We have arranged things for ourselves so that children should be in our way as little as possible…. A child’s primary and irrefutable right is the right to voice his thoughts, to actively participate in our verdicts concerning him. The courage to care—encouraging prosocial values and behavior in at-risk youth engaging in self-centered behavior and rebellion. “It is the boast of Americans that every child has the opportunity of school education, but it is true that many children—through no fault of their own—get nothing from education. Not education, but the right education should be our boast.” A young lady, born and raised in a small town in upstate New York knew she had a mission in life. She was fortunate to have grown up in a stable family as a daughter of hard-working Irish immigrants and to have had a fine college education. Elizabeth Farrell had gifts; she decided she needed to share them with children who were less fortunate than she had been. The children Farrell spoke of were not only impoverished, they also had cognitive and physical disabilities. At the time, most educators and policymakers felt that these children could not be educated or, at best, taught only the most rudimentary skills. Farrell’s statement is remarkable in three ways: that the children of the very poor deserved the same quality education as their richer peers, children with intellectual disabilities should benefit from a rich educational experience by knowledgeable and dedicated teachers, and these children and young adults should be with their regular peers to the greatest extent possible. To be sure, certain events influenced Farrell. She admired her own teachers from the Utica Catholic Academy, the Sisters of Charity, for their work with the sick and needy. After she graduated the academy, she enrolled at the Oswego Normal & Training School, whose curriculum was based on the pedagogy of Johann Heinrich Pestalozzi, the Swiss educator who worked with the children of the very poor. This young lady took these lessons and set out to teach in New York City’s Lower East Side, one of the toughest neighborhoods in America in 1899. And one of the toughest schools was Public School Public School Number One, the Henry Street School. It was there Elizabeth Farrell met Lillian Wald, the person who founded the adjacent Henry Street settlement, a boarding house that cared for and taught the children of the very poor. Many of the students at Henry Street were deemed “incorrigible” or “ineducable.” The rote teaching of dry facts was difficult for most children, but for Elizabeth Farrell’s population, it posed an unsurmountable obstacle. Farrell set out to find “the right education—the kind of teaching… [the special student] needs, therefore which he accepts.” Under the watchful but supportive eyes of her principal and senior administrators, Farrell set out to create her special-education curriculum, one adapted to the diverse needs of her pupils. Farrell had the students engaged in meaningful manual tasks that would instill a love of work. Like Jane Addams, Elizabeth Farrell expressed a strong disdain for a criminal justice system that entrapped so many children in a sordid world of adult crime. “The school, now more than ever, must compete with its only real competition, the street,” she said. With the backing of the New York City School board, Elizabeth Farrell traveled to England to study similar schools there. Although she admired the dedication of many of the teachers, she was disturbed by how “defective children” were placed not only in separate classes, but in separate schools entirely. 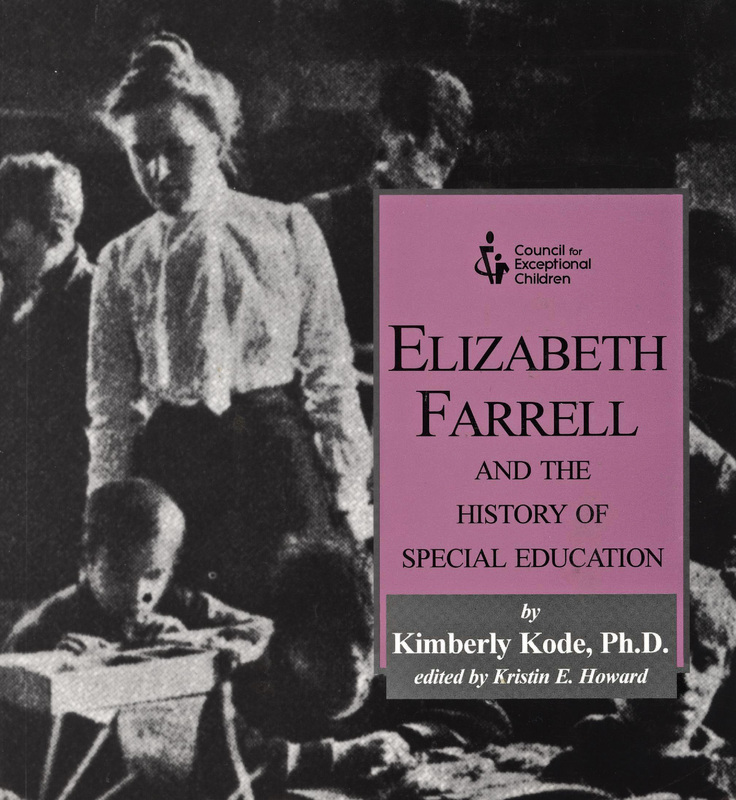 Back in New York, Elizabeth Farrell was inspired to embrace a more inclusive setting—her students with special needs would be included within existing schools, though her classes would be “ungraded.” A classroom would comprise students of multiple ages and levels of cognitive development, and pupils would be taught according to their abilities rather than merely their chronological age. Farrell also recognized that children unable to do mathematics may excel in another area, such as reading. Moreover, Farrell declared that gifted children should observe the ungraded classes to see first-hand “that to each has been given a talent, and that this group of ‘different’ children have contributions to make to life a t the school were no less valuable because they are unalike.” Her philosophies that children have diverse talents and abilities and that they have much to offer one another would form the foundation of inclusion under the Individuals with Disabilities Education Act, where all students had the right to a full public education. Elizabeth Farrell went on to serve in various administrative capacities with the New York City School Board, where her greatest challenge was finding and recruiting new special-education teachers. However, a shortage of qualified teachers did not stop Farrell from maintaining very high standards; she instituted comprehensive written, oral, and practical examinations for applicants and only those who already had at least three years of teaching experiences. In return, Farrell advocated for salary increases for teachers of ungraded classes. After her tenure with New York City School Board, Farrell and colleagues joined the American Psychological Association, with the aim of aim of drafting an objective guide principals could use in classifying children for ungraded classes. Memories of her confrontation with H.H. Goddard years earlier were still fresh; she was alarmed at Dr. Goddard’s philosophies of the genetic origin of “feeblemindedness,” especially as applied to certain ethic groups (at a time when the eugenics movement was gaining ground). She also decried Dr. Goddard’s exclusive use of IQ tests for evaluating students, a practice in recent years condemned as racist and declared illegal. Farrell was also one of the founding members of the National Education Association (NEA) and one of its earliest presidents. After her attempts to establish a division within the NEA devoted to special education failed, she was undeterred. In 1922, she created the Council for the Education of Exceptional Children, known today as the Council for Exceptional Children. It is the foremost professional and advocacy organizations devoted to teaching the atypical child.